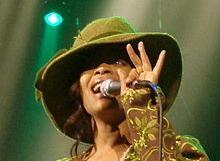 Erykah Badu will bring her sounds to the 2008 annual Jazz Festival, now in its 15th year. The spectacular 2008 lineup includes world renowned artists such as Bob James, Terri Lyne Carrington, John Patitucci, Stefan Walcott, Andre Forde, Venessa Rubin, Kenny Garrett, Lee Retenour and more. The Festival will be staged January 14 to 20, 2008. The festival will be staged at some of Barbados’ most picturesque locations around the island, which include Sunbury Plantation House, Heritage Park at the Foursquare Rum Refinery, The Crane Resort & Residences and Farley Hill National Park. Performance Schedule: Monday, January 14, 8:00pm: Sunbury Plantation House, St. Phillip – Featuring: Bob James/Terri Lyne Carrington Tuesday, January 15, 8:00pm: Sunbury Plantation House, St. Phillip – Featuring: John Patitucci/Artist (To Be Announced) Wednesday, January 16, 8:00pm: Heritage Park/The Rum Factory, St. Phillip – Featuring: Stefan Walcott/Andre Forde Thursday, January 17, 8:00pm: Dinner Set: The Crane Resort & Residences – Featuring: Venessa Rubin Friday, January 18, 8:00pm: Farley Hill National Park, St. Peter – Featuring: Erykah Badu Saturday, January 19, 12:00pm: Farley Hill National Park, St. Peter – Featuring: Kenny Garrett/Lee Retenour/The Almond Band Sunday, January 20, 1:00pm: Farley Hill National Park, St. Peter – Featuring: Rippingtons/Cuban All Star Jazz Band/David ‘Ziggy’ Walcott. Season tickets are available (excluding Dinner Set). The island of Barbados offers authentic Caribbean experiences with its exceptionally rich culture and history rooted in remarkable landscapes ranging from rolling waves on the Atlantic to those gently lapping the Caribbean coast. The newly renovated Grantley Adams International Airport offers non-stop and direct service from a growing number of U.S. cities via Air Jamaica, American Airlines, Delta and US Airways.